When Theresa May stood up at the Police Federation conference in 2010 and told rank and files officers “your job is to cut crime; nothing more, nothing less”, it raised eyebrows in the room. Her words showed an utter lack of understanding about modern policing. 83% of the calls received by the police are not spent responding to surging violent crime or solving burglaries but ‘non-crime demand’ – protecting the most vulnerable including children, missing people and, crucially, those with mental health problems. Since 2010 this ‘non-crime demand’ has grown at a phenomenal rate as a result of the gaps in services relied upon by the most vulnerable. The dismantling of vital early intervention services forced those with mental health issues on to lengthy waiting lists. In desperation or in crisis, they turn to the police, who are acting as the service of first resort when they used to be the last. Police are now dealing with record levels of mental health call-outs and the job has become almost unrecognisable from the service I left as a Special Constable only six years ago. The Metropolitan Police received 115,000 calls relating to mental health last year, about 315 a day. A growth in demand while services reduce is creating a perfect storm and despite the best intentions of the police, this is leading to unintended consequences that can be terrifying. Stories of vulnerable people being left to sleep in the back of a police car due to a lack of mental health beds and a shortage of accredited mental health practitioners able to assess people at crisis point are sadly all too common. But the fundamental rights of those suffering from a mental health problem are also being breached. The police are so concerned about this that they took the significant step of releasing data on the number of unlawful detentions. They said they may be unlawfully detaining up to 2,000 people a year who are in need of mental health support. What does it say about the way we treat those with mental health issues that people are being unlawfully detained for up to six days until a mental health bed becomes available? Things have to change. For the sake of our overstretched, under-resourced police, but most importantly for the ill people that shouldn’t have to turn to the police for help. I make a serious effort in my job to get out and speak to front-line officers who are on the job, dealing with these issues daily and I see fantastic examples of joint agency working, responding to people as victims even if they have committed an offence, trauma-informed practice that acknowledges people have complex needs and perhaps merely processing them through the criminal justice system is not the best thing for them or for society. Some of that can be police-led but I can guarantee you that if you speak to police officers from PCSOs to Chief Constables, they would have additional resource go on the sorry state of our mental health services as the priority first and foremost. If we do not sort this problem, then it is no exaggeration to say the future capability of the police service is at stake. They cannot be sustained as the service of first resort as other services fail and they increase their thresholds for treating people. We know what we want the police to do – prevent and respond to crime yet they are becoming less and less capable to be able to do this as more and more of their time is spent sitting in A&Es and transporting people around the country desperately trying to find them provision. As a result, crime including the crimes which the public fear the most such as violent crime have shot up to the highest level for a decade. Worryingly, an astonishing number are now being left unsolved, with the total breaching the 2m mark for the first time this year. Police are responding to a record number of emergency 999 and 101 calls. The Prime Minister shamefully accused the police of “crying wolf” over funding cuts, but this was the year in which her grim legacy was exposed. She cannot simply wish away this crisis in policing, it is a crisis made on her watch. 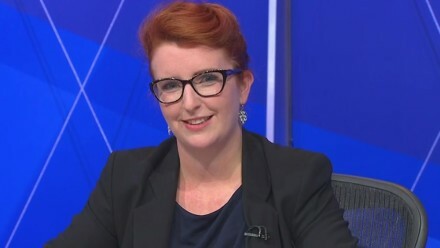 Louise Haigh is MP for Sheffield Heeley and shadow policing and crime minister.